Flexi-Tile 10 is ideal for floors that need to withstand additional pressures including forklifts, pallet trucks and transport of heavy loads. With quick and easy installation, Flexi-Tile 10 tiles are the prime option for coverage of larger floor surfaces such as factories, warehouses and distribution centres. Available in eight colours the 10mm tile will revive your chosen area and offer the perfect solution to dust and dirt caused by cracked and damaged concrete or epoxy flooring. 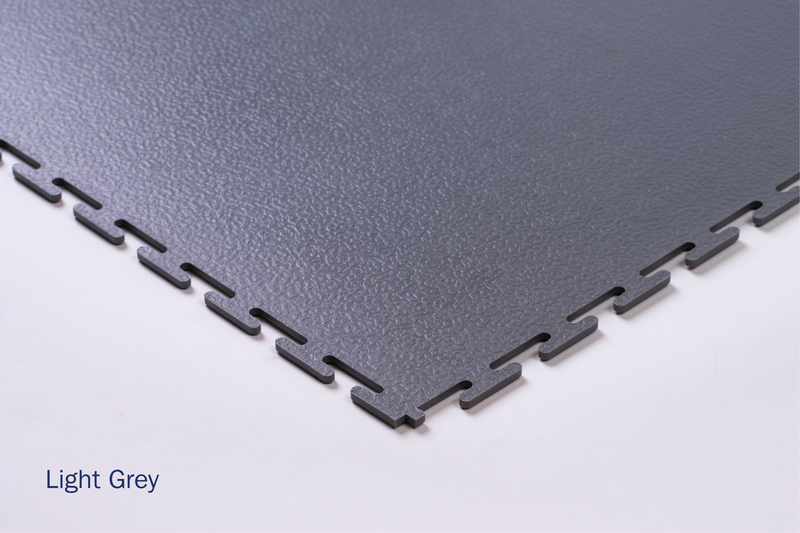 The loose lay system means the tiles are also ideal for areas that are plagued by subfloor dampness, due to their unique breathable properties. As a result of slightly larger surface dimensions (53cm X 53cm), Flexi-Tile 10 is often used for larger projects, such as major retail and industrial production facilities. Quickly installed on practically any surface, providing a durable, hassle-free option. If you need something which can withstand the additional pressures and movement of forklifts, pallet trucks and transport heavy loads, Flexi-Tile 10 offers a great flooring solution. Flexi-Tile 10 is also available in our Constat options for areas susceptible to electrostatic discharge. Constat is the only EU patented ESD Floor tile available on the market.